Our Michigan personal injury lawyers handle fall injury lawsuits against hospitals. Patent falls often occur from beds, cots, and stretchers or when a patient is being transferred to the bathroom or shower by a nurse or hospital employee. Many falls occur during transfers from a wheelchair to bed or from bed to wheelchair. Every year, somewhere between 700,000 and 1,000,000 people in the United States fall in the hospital. Of those falls, up to 51% result in a serious injury. A hospital fall can result in fractures, lacerations, or internal injuries. In some cases, the fall can cause or lead to the death of the patient. What Types of Injuries are Common in Hospital Falls? Can a Patient Sue for a Fall in the Hospital? Patients who suffer injuries due to falls in hospitals do have legal rights. Hospitals and their staff members must know which patients are at risk for falling and put in place safety measures to prevent the fall or minimize the risk of falling. These safety measures can include the use of bed alarms, chair alarms, bed rails, beds in the low position, and floor mats next to the bed to soften the impact of a fall. Many patients may even require a one on one sitter to prevent a fall. If the hospital fails to identify a patient as a fall risk or does not implement a fall prevention plan, the patient and family may be entitled to file a fall injury lawsuit. What is the Amount of a Hospital Fall Injury Settlement? The amount of a settlement depends on a number of factors. Factors include the severity of the injury, the type of medical treatment provided, and the long term effects of the injury. The settlement amount must also consider the degree of liability of the hospital for failing to prevent the fall or not properly monitoring the patient. Compensation can include money for pain and suffering, disability, and medical expenses. In cases involving death, the surviving family members can file a wrongful death lawsuit. Our experienced attorneys will review your medical records to determine the strength of your case and the likelihood of winning a settlement. The family of Richard H.
"We just wanted someone to take the responsibility for leaving (Richard) alone when he was a fall risk and somewhat confused. I have given two indivuduals your company's name and phone number. Thank you, Mr. Buckfire, for fighting for us." 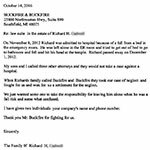 Written by: The family of Richard H.
We will represent you in your Michigan hospital fall case case under our NO FEE PROMISE. This means that you will not be charged any legal fees whatsoever unless we obtain a settlement or recovery for you. You will have absolutely no obligation for legal fees unless we win your case. If we do not obtain a settlement for you, you owe us nothing! Call us now at (800) 606-1717 to speak with one of our experienced Michigan hospital fall attorneys about your case. Our lawyers will start working on your case immediately, gathering all the evidence necessary to prove and win your case.